A graveside service will be held at 2 p.m. Wednesday, April 3, at Olive Branch Cemetery in the City Park of Portsmouth, Virginia. 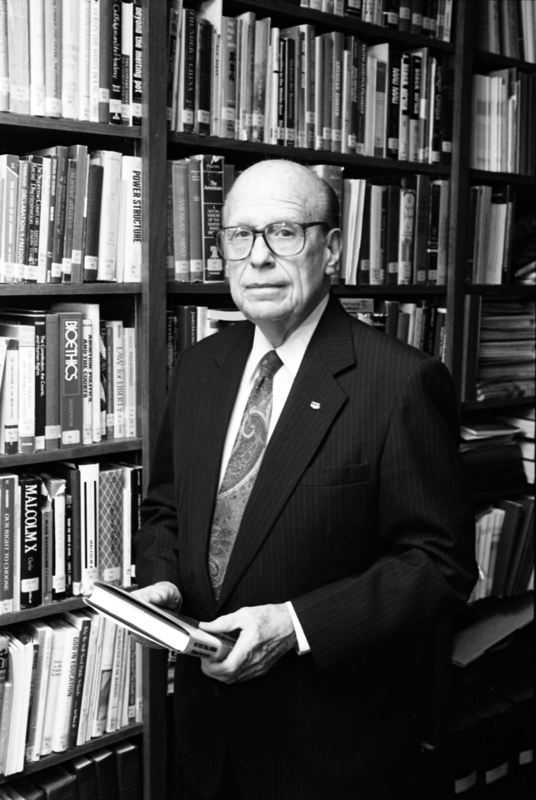 Dr. Wood joined the Baylor faculty in 1955 as an associate professor of religious history and became known as one of the most active faculty members on campus, emphasizing mission work in his courses. After publishing the landmark book “Church and State in Scripture, History, and Constitutional Law” in 1958 with Baylor professors Dr. E. Bruce Thompson in history and Dr. Robert T. Miller in political science, Dr. Wood became the first director of the Dawson Institute. Under Dr. Wood’s leadership of nearly 30 years, Baylor’s J.M. Dawson Institute for Church-State Studies emerged as an internationally known center exclusively devoted to research in the broad area of religion, politics and society and committed to the separation of church and state and the advancement of religious liberty around the world. During his first tenure as director, the Institute developed several undergraduate and graduate courses, culminating in a Ph.D. program, launched the Journal of Church and State, the only academic journal dedicated to church-state issues at the time, and opened the J.M. Dawson Church-State Research Center in Carroll Library. In 1972, he left Baylor to become executive director of the Baptist Joint Committee, where he served until 1980, expanding the mission of the organization and emphasizing a range of policy issues, including international human rights and ending the nuclear arms race. After eight years with BJC, he returned to Baylor, serving again as director of the Dawson Institute until 1995. Dr. Wood was internationally renowned for his knowledge on issues dealing with church and state. As a result, his expertise was requested to help with various national and international issues. Wood served on various religious liberties committees, such as the World Council of Churches Committee on Religious Liberty, the First World Congress on Religious Liberty and the International Academy for Freedom of Religion and Belief, of which he was president. He served as a consultant to many Eastern European countries following the collapse of the Soviet Union, advising them on the creation of new religious freedom laws. He received many awards, including the Religious Liberty Award by the Alliance for the Preservation of Religious Liberty. The Baptist Joint Committee also remembered Dr. Wood in a tribute on its website. He was predeceased by his wife of 58 years, Alma McKenzie Wood. He was a devoted father to his son, James E. Wood III, and also is survived by many family members and friends.